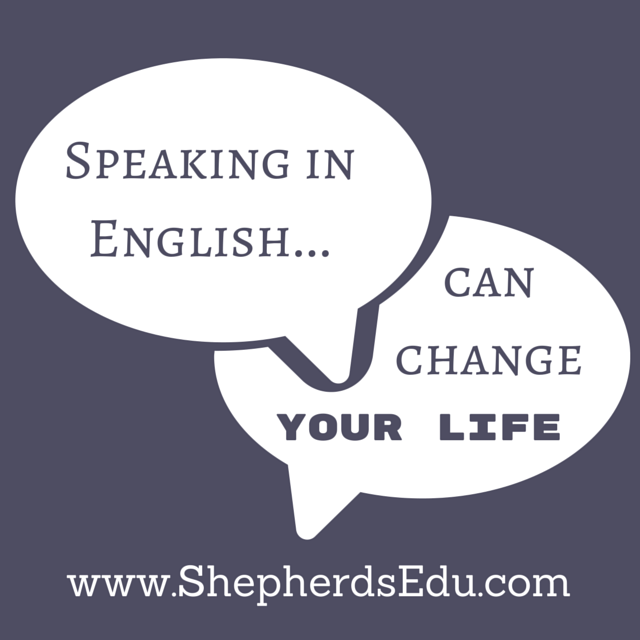 6 ways in which spoken English can change your life! There are many ways that bring changes in a person. Many instances occur that change directions and virtues of life. Out of all the major changes that take place one small thing that can change yours or someone else’s life can be learning a new language or enhancing one. This seems unimportant to many but it does brings great deal of an overall change in the personality of a person. In this article I shall be discussing a few ways how speaking English in Ludhiana that can influence your lifestyle. STAND OUT FROM THE CROWD- Learning a new language always helps in enhancement of one’s personal appeal. In India English is a foreign language and not many people can speak well. It’s a common language in Great Britain, New Zealand , Australia, United States and all the developed countries. In South India, people have started to speak English on a larger scale but north, east and west India are more of non-English speaking zones. So learning this language can give an extra edge along with your qualification and helps you to shine and stand out from the crowd as well. And as they say that learning is a never ending process so learning a new language is always beneficial in long term . BETTER PERSONALITY- People in India are used to speaking their regional languages more than English. So learning English can help them to gain exposure to a new language. However, it is observed that people who are fluent or can speak the language quite well automatically develop a confidence in their body language and the way they present their opinions views or knowledge and skill sets. They seem more confident and expressive in their talk and behavior than others. So they are able to become a center of attraction for many in a positive way . BETTER JOB OPPORTUNITIES- Now-a-days in the job world people recruit such new comers who are quite well in speaking English. So ones who are not good in the language lack opportunities ,no matter how qualified they are. Jobs such as in call centers, hotel receptionists, various MNC’s, coaching institutes always prefer people who have good spoken English. So having good command over the language can provide an extra edge in finding better job opportunities. They have a wide horizon to expand their talent. BETTER CAREER PROGRESS OVERSEAS- People who want to settle overseas are required to have a good grip over the language. As it is the most widely spoken international language so it is a must have for people who want to settle in a foreign land or develop a new business overseas. For a better flourishing of one’s business English is the key factor for success. So in such cases English speaking can take you miles apart from non-English speakers. HELPS TO DEVELOP AN EDGE IN THE SOCIETY- People who are good in speaking English always have that extra edge in society in all types of communications taking place. They are greeted always with respect and honor as people around them are not that well spoken in English. EVOLVE YOUR OWN CAREER AS A FREELANCER- People who have good command over the language can also take up this language as a career of freelancing. Professions related to language are well followed and opted for a better career opportunities like Certification Trainers, writers, poets and orators.